People who are new to the game of poker tend to make a lot of the same mistakes over and over again. And these are mistakes that seem almost silly to more advanced players. Poker beginners tend to play in bad games, they don't study poker, they don't play a consistent strategy, they play at stakes too high for them and they don't have the patience to get to the long run. These are just a few of the common mistakes poker beginners make. And sadly a lot of these poker newbs end up quitting the game because they can't achieve any success, convinced that either they are the unluckiest person on earth or it is all rigged against them. However, there is no reason why you need to make these same blunders early on in your poker career as well. That is why I decided to write this article with the top 12 mistakes that poker beginners make. Before you even begin playing poker you need to find out which games are right for you. For instance, do you enjoy grinding it out in cash games for a consistent profit or do you prefer to chase the big score in tournaments? Are you a fan of No Limit Hold'em, Limit Hold'em, Pot Limit Omaha or some other game? 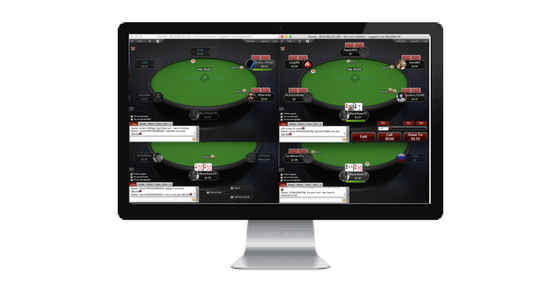 Lastly, do you enjoy playing at a full table (9 or 10 players), short-handed (6 players) or heads up (2 people)? Many people who are new to poker will play in a specific game because their friend told them to or because their favorite poker hero on TV does. This is a serious mistake. You need to play in the games that you personally enjoy the most because this is what is going to keep you motivated to play and continue improving your game over the long haul even when things aren't going your way. This is why I always suggest trying out at a bunch of different games at first. Heck, don't even use real money if you don't want, just go mess around in some play money. Bottom line, find the type of poker game that you enjoy the most. You will never know until you try them all. After you figure out which game type is right for you, then you need to devote all of your mental energy to that one game. You should be "all-in" with it so to speak. The reason why is that poker is not always easy these days. Therefore, you can't afford to dabble in 3 different games and think you are going to have big success in all of them. It is much better to be a master of one game type than a jack of all trades these days. So for me personally, when I first started out I played all games, Limit Hold'em, PLO, tournaments, SNGs. Heck I even played some Stud and Triple Draw! After awhile I found out that No Limit Hold'em cash games were my favorite though. I then started devoting all of my time to studying those games and playing in those games only. This allowed me to progress at a much faster rate. And ultimately become one of the best players in the world in them at the lower limits. So I just mentioned "studying" poker. What on earth is that you might be asking? 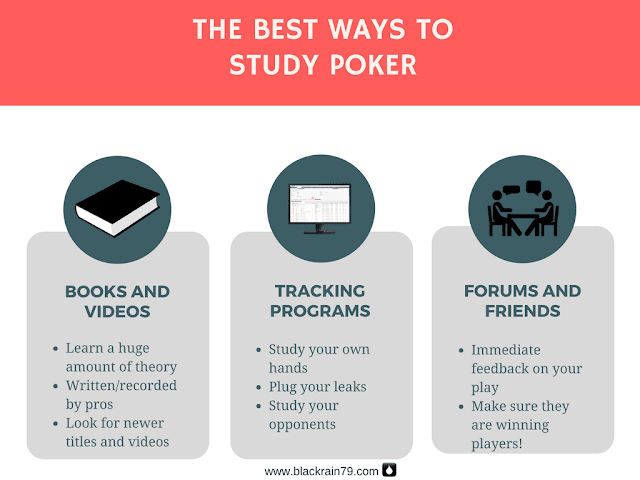 Studying poker is simply the process of analyzing your play (and your opponents as well) in order to make improvements in your decision making and ultimately increase your win-rate. If you want to progress at a faster rate as a poker beginner these days, then you should be taking advantage of the incredible amount of educational material out there, a fair amount of which is completely free. Sure, you could just play a couple million hands like I did and learn through trial and error. But this is really an incredible waste of time. With the resources available today online it makes no sense not to learn from the mistakes that others have already made and to get top level instruction from the pros as well. In fact, I believe that poker beginners should be spending around 50% of their time studying the game as opposed to playing it. So what does studying the game actually mean? It means reading beginner level poker books and studying beginner level training videos. Please note the emphasis on "beginner level" here. You should absolutely NOT be studying advanced mathematical theory if you are just learning the game or if you still play at low stakes like NL2 - NL50 online or 1/2 and 2/5 live. It also means reviewing your own hands (and your opponents) in a poker tracking program like PokerTracker. Here is a recent guide that I wrote showing you exactly how to do that. You can also learn from the multitude of Youtube videos and Twitch streams out there. Obviously some are better than others. After all, anybody can upload a video or a stream online these days. But most of the popular video producers and streamers are solid and sometimes even pros. And lastly, studying poker means posting your hands on forums (2+2 or CardsChat for instance) and discussing your hands with other winning poker players on a regular basis. You can take this a step further by creating a private study or discussion group with other winning players using Facebook or Skype for instance. The most important part of winning at poker is having the right strategy. And for people who are just starting out in poker, the best strategy to learn (and it really isn't even close), is TAG. This stands for tight and aggressive. This style of play essentially means that you are highly selective about which hands you choose to play and from what positions. It also means that when you do choose to play a hand that you are typically playing it very aggressively. I still see poker beginners all the time though trying to do it on their own playing way too many hands, not betting and raising enough, not understanding the power of position and so on. If you are brand new to poker, focus on learning the fundamentals of TAG strategy first, even if you think that you already know them. There are tons of free resources out there to get you started. I always just recommend reading my free poker ebook. It's a quick read (30 minutes) and has everything you need to learn the basics. This one will probably seem really obvious to most advanced poker players and especially any pros out there who might be reading this article. But to most poker newbies, it is not. You have to play against bad poker players in order to win. Poker is a unique type of gambling game because you are essentially playing against other people, not the house. Therefore, your results in poker will be directly attributable to who you choose to play against. However, I see poker beginners consistently making the mistake of sitting down in reg (regular) filled games where there is no apparent soft spot (weak/bad player) at the table. "If you can't spot the fish in your first 30 minutes at the table, then you ARE the fish." There should always be at least one clearly bad recreational player at your poker table at all times. And if someone were to ask you, then you should be able to point out that player immediately. You can increase your chances of this considerably by simply choosing to play at the poker sites which are known to have the most fish. Remember playing musical chairs when you were a kid? This is the game where there is always one less chair than there are people. When the music stops the person who doesn't find an empty chair is eliminated. Winning poker is a lot like that. You need to be constantly on the move and looking for the best seat. A lot of people just want to sit down at one table and play for a couple hours. I get that and I totally understand that. But winning poker players know that this just isn't a good strategy for success especially these days. And the reason why is because if there is no clearly bad recreational player at the table, then they they are just wasting their time and possibly even losing money. You don't make money in poker by trying to outwit other equally skilled players or those who are better than you. And when you are just starting out in poker it is even worse because literally everybody (besides the fish) will be either at your level or above it. Advanced poker players and poker pros simply do not stay at a table where there isn't a clear soft spot. They leave and join a new one. Now I know this can be a pain. Everybody would like to just sit down at the first table with an open seat and proceed to print money. But this just isn't how it works in today's games whether live or on the internet. If you cannot immediately point to the reason why you are at a poker table, then you should not be playing at that poker table. Learning how to play an aggressive style of poker is something that is difficult for a lot of people to do. I know because it certainly took me quite a while to learn. After all, it is much more natural for most people to just check or call a bet rather than taking the confrontational approach of betting or raising, especially when you don't have a strong hand. But winning poker players know that in order to profit big you need to scrap this mentality ASAP. While there is certainly a time and a place for calling and slow-play, you absolutely have to be aggressive on many occasions as well because good hands just don't come around that often. A huge part of success in poker is simply winning more than your fair share of all those little pots when nobody really has anything good. This is also called your red line or non-showdown winnings. 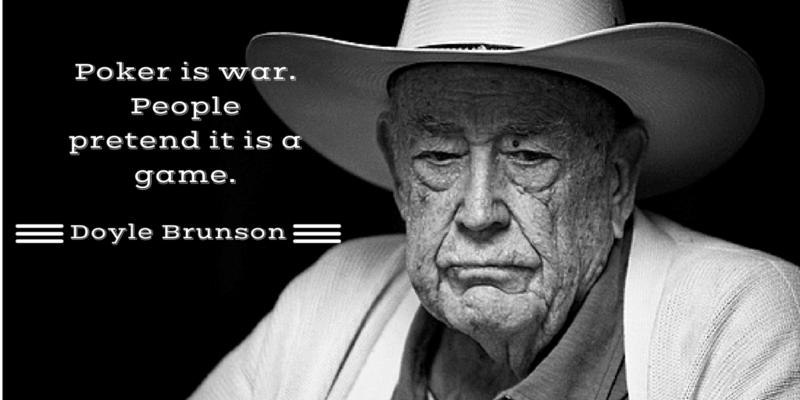 Now it should be noted that if you frequently play an aggressive style of poker some people won't like it. In fact some of them will even be resentful about it. The recreational players in particular will really hate it. They will call you a "bully" and other mean names perhaps. 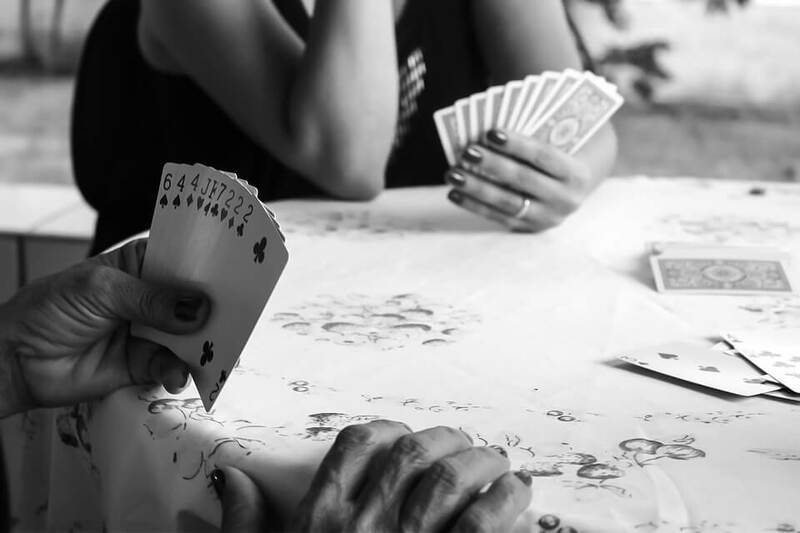 After all, you are wrecking their fun little game where everybody limps into the pot, chases every draw, and we see who winds up having the best hand at the end. We don't play poker in order to make friends. If you want social hour go to a coffee shop, a bar or have a chat on Facebook. Poker is none of these. Poker is business. Poker is war. My job at the poker table is very simple. I am there to get everyone else's chips, period. I don't care what they think of me. Believe me, I have been called every name in the book over the years. All top pros know that aggressive poker is winning poker. You need to be betting, raising and re-raising them again and again. Put them on tilt. Do whatever it takes to win their money. The next mistake that I see poker beginners making all the time is playing at stakes above their current skill level. I know how hard it can be especially if you come from a live poker playing background to sit down at a table online where the buyin is only $2 or $5. It seems like you are playing with peanuts or monopoly money! But the problem is that many of the so called "real money" games online where you buyin for say $50 or $100 actually have a lot of good players in them these days, some are even pros. This means that these games typically require an advanced level of poker knowledge and experience in order to beat them. This is why I always recommend just starting at the very lowest stakes online which for cash games is usually NL2 ($2 max buyin) or NL5 ($5 max buyin). Even if you think that these games are below you, just do yourself a favor and play them for a week or two anyways. Prove it to yourself that you can crush these games and then move on to bigger and better things. There is absolutely no big rush to get to the top in poker. The higher stakes games aren't going anywhere. Start small and build up the right way. The next common problem that I often see poker beginners making is not being properly bankrolled for the games that they play in. My recommendation these days is that you have at least 30 buyins for any cash game you decide to play in. And quite frankly 40 or 50 is even better. So that NL2 game that I just talked about. You should have $60 in your bankroll in order to sit down in this game. And you should have $150 if you play NL5. Why so much you might ask? Because variance in poker, which is a technical term for the standard ups and downs that everybody goes through, is well known to be very intense these days even at low stakes. It is not uncommon for a solid winning player to have a 10 buyin or even a 20 buyin downswing in micro stakes cash games these days. So if you only had 10 or 20 buyins in your entire bankroll, then you can probably already guess the result. That's right, say goodbye to your bankroll. Not only is it a pain to reload but it is also damaging from a psychological perspective to go broke. There are so many other things to worry about in poker. Going completely busto should never be one of them. My advice is to start your poker career the right way the first time and deposit a proper amount. This means 30 buyins minimum if you play cash and 100+ if you play tournaments. I personally use even more than this and that is why I have never gone broke even once. A lot of people get into poker because of the money. And while this game might become highly lucrative for you one day, poker is actually the exact opposite of a "get rich quick scheme." 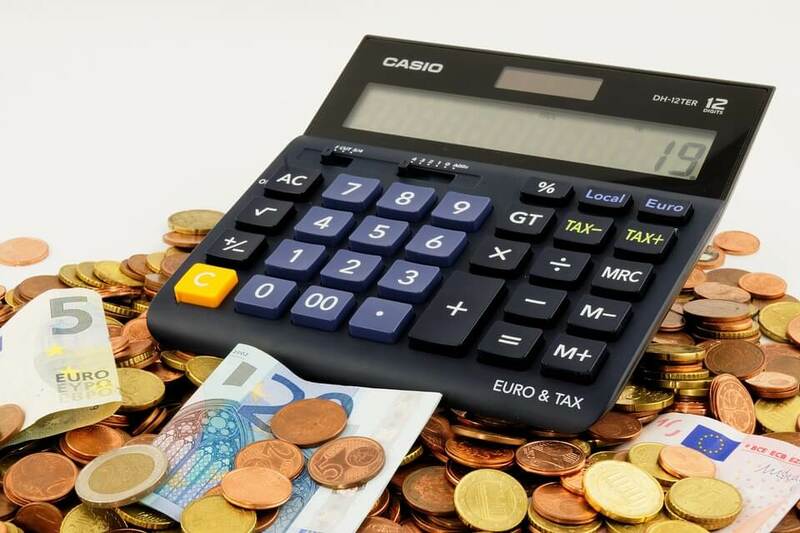 If you are the type of person who is looking to make a quick $50 or $100 a day, then you would be best served to just quit poker right now and go find some other guru on the internet that will promise you millions. Here on my website I always prefer to keep it real with people instead. And that is why I always tell beginners in particular that the path to success in poker is often long and hard, and it is not even guaranteed at all. I have been playing this game now for over 10 years now as a pro. And in that time I have gone through countless downswings (meaning that I made no money or even lost money) that lasted for weeks and even months on end in a few cases. If you are new to poker then you need to know that one day really doesn't mean anything, neither does a week or even a month sometimes. You really have to be in this thing for the long haul, always be improving, and have a near superhuman level of patience at times. If all you see are dollar signs and you are looking for a quick buck, then this game probably won't turn out very well for you. The crazy things that you will eventually see in this game like losing with quads, getting bad beated right before the final table again and again are enough to make some people go crazy. Just look at this ridiculous hand from a few years ago at the WSOP. Given the magnitude of the situation (millions and millions of dollars on the line), I think this is actually the worst bad beat in poker history ever to be shown on television. And yes you guessed it! The guy who delivered the bad beat in this hand went on to win the tournament for close to $9 million USD. Poker isn't fair sometimes. It is brutally unfair at times in fact. One hand can even change your entire life sometimes as the hand above shows. So when stuff like this happens beginners in particular tend to get highly superstitious. They will change how they play. They will even come up with crazy hair brained theories like you should never re-raise with AK or you should fold your KK every time an ace comes on the flop. The problem with all of this psychobabble is that at the end of the day poker is really just cold hard mathematics and statistics. It doesn't care about your favorite lucky hand or your tin-foil hat theories. It is extremely important in poker that you always stick to the program no matter what. Sometimes the cards will not fall your way, even at the most inopportune of times. But what you can always control is how you choose to play the game. Whether you have been crushing the poker tables beyond belief for weeks on end or getting absolutely destroyed, you need to play the exact same way. That is, consistently getting your money in with the best of it. This is a very hard thing to do all of the time, I am not going to sugar coat it. But this is one of the biggest differences that separates the pros from everybody else. The last mistake that poker beginners make is taking the game way too seriously. Honestly, you are going to suffer so many crazy bad beats and see so many ridiculous plays that you really can't waste your time fretting over each and every one or you are going to drive yourself insane. You really have to learn how to just laugh more sometimes, even make fun of yourself when you make mistakes, which you absolutely will. I think one of the quickest ways to burn yourself out in poker is to take the game too seriously. There is a short term luck element that you simply cannot remove from this game. There will be many days where there is absolutely nothing on earth that you can do to win. Let Daniel Negreanu or Phil Ivey play your exact same cards. Trust me, they will lose too. What's the point in getting all angry or frustrated about it? This is especially the case if you are well bankrolled for the games that you are playing in like I suggested above. But believe me I get it. Learning how to let go like this is probably the hardest skill to master in poker because I don't know anybody who is a big winner who isn't insanely competitive as well. I know for me personally it hurts bad to lose, every single time. It is especially hard to take when you lose to some drunk idiots at the lower stakes. But you have to always remember that we don't play this game for one day or even one week. We play for months and years. Let them have the last laugh today. If you consistently play with the right strategy and keep your emotions in check, then you will have the last laugh over the long run, when it actually matters. Poker is a hard game to learn and even harder to master. Believe me, none of us really have all the answers or have it all figured out. In fact, one of the biggest distinguishing features of top poker players is that they are always looking to learn more and improve. But for beginners it can be even harder because the games aren't always a walk in the park these days even at the lower limits. And the amount of information out there on how to win at poker can seem overwhelming at times. From experience though I can tell you that keeping it simple in every respect is the surest path to success at the micros, NL2 - NL50 online, 1/2 and 2/5 live. First things first, play in the games that you enjoy the most and start at the lowest stakes with a well funded bankroll. Employ a simple tight and aggressive strategy while making sure that you are always playing in games with at least one clear fish at the table. Make sure that you consistently use the same strategy no matter what your current results are. And if you find yourself getting too frustrated, just walk away for the day. Let them win the battle while you win the war. Let me know in the comments below what mistakes you see poker beginners make. Do you have anything that you would add to this list? Thanks Mike and I think I remember that hand! Couple remarks About studying poker - after year pushing myself to play micro stake cash games - one thing I can say is - only genius can learn from other people mistakes, most of us got to do their own to be able learn. Enormous amount of hands to play You own is must - that's for sure...No matter how much You will read, watch or think about poker. Thanks lexy and thanks for your thoughts as well! I don't think of a hand like the example as being a 'bad beat' in the true sense. If they'd gone all-in preflop then the loser could have felt very hard done by. But in this case he bet a lot of his money post-flop when there were all kinds of hands that could be beating him. However great AA looks pre-flop it's still just one pair post-flop and there's no guarantee it will be ahead. The key to this hand was the context. 2010 WSOP Main Event, right before the final table, one of the biggest prize pools in poker tournament history. Sure, you can find tons of hands that are worse bad beats statistically. But financially, not many. hi nathan i purchased one of your book and images or some stats wont show properly..